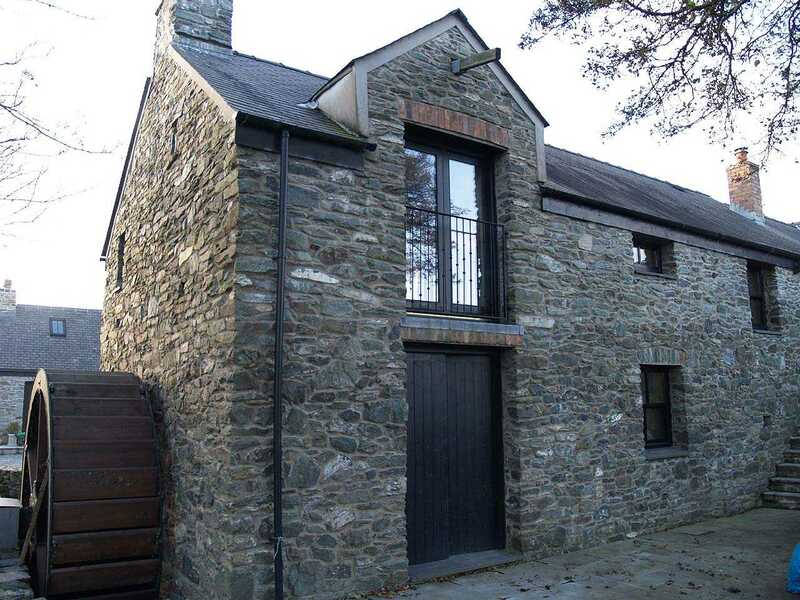 Llanfachraeth Water Mill - Fatri Erw Coch on the Isle of Anglesey (Ynys Môn) in North Wales. 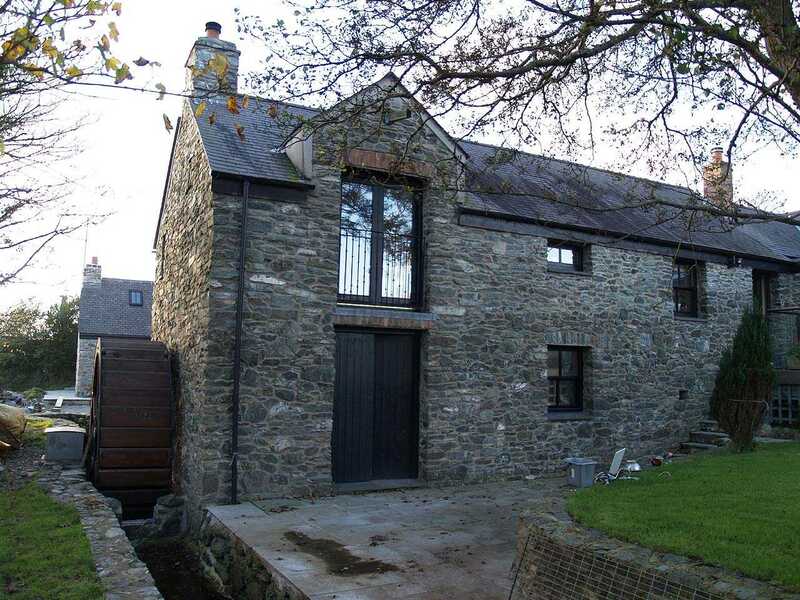 Llanfachraeth, Fatri Erw Coch Water Mill in November 2009. 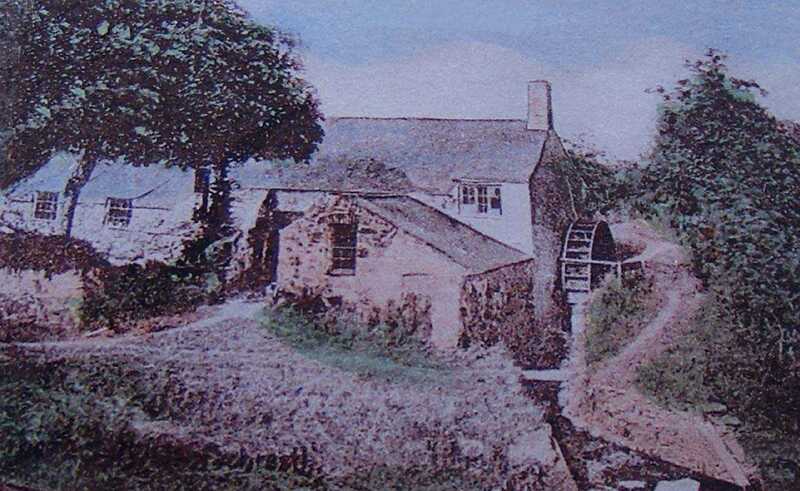 Anglesey, Llanfachraeth, the original Erw Coch Water Mill - known as the Factory. 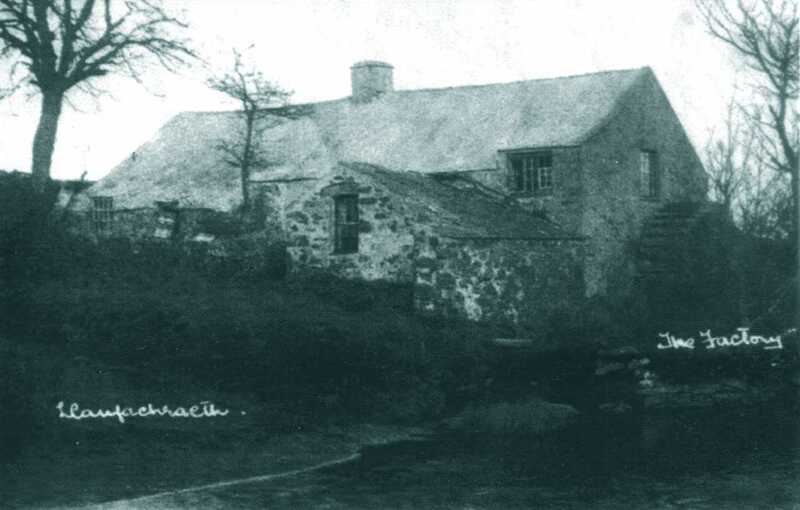 Llanfachraeth, Fatri Erw Coch Factory Water Mill - disused in the 1920's. Little is known about the history of this water mill, which was actually a fulling mill which processed wool for the woolen industry. The process involved using a mixture of fullers earth and urine, which would cleanse the wool of any dirt and oil, and also whiten it, and then being battered by hammers driven by the mill which would eventually cause the wool fibres to become irreversibly locked together, making the wool very dense and long lasting. 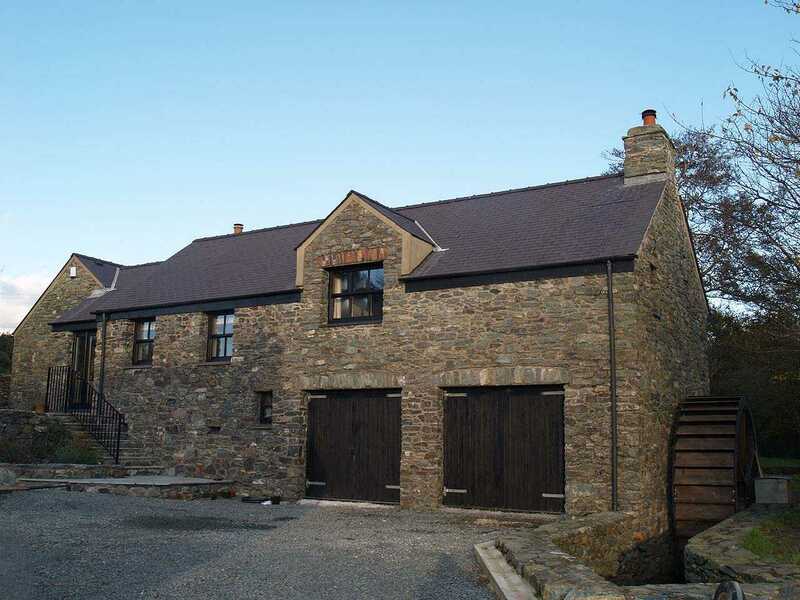 In 1881, John Hughes, a widower aged 78, was living at the nearby premises named Tyn Y Gamda. He appears to be the factory owner, and employer of 2 men in the wool industry. What we do know is that by the 1920's it was in a state of disrepair, so presumably had stopped working by then. 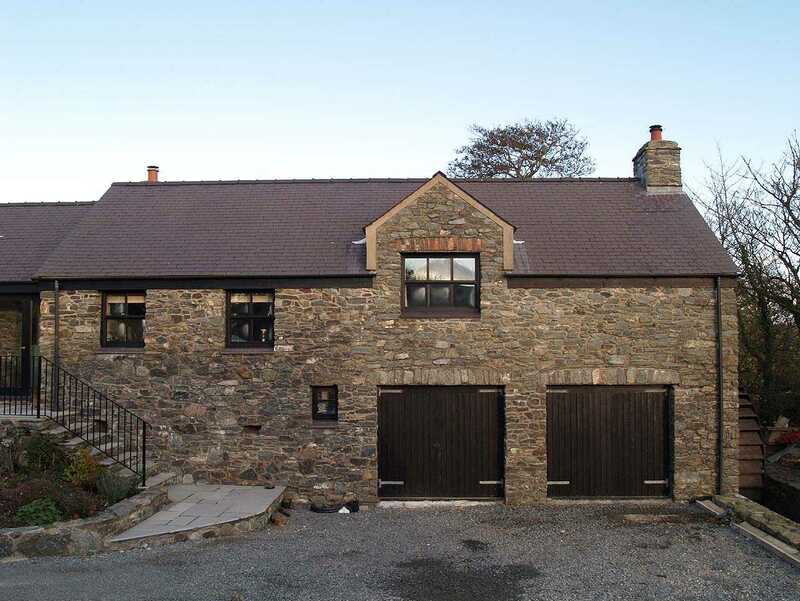 The present owners in fact had to demolish the original water mill, and a new building - using the original stone - was erected in situ. 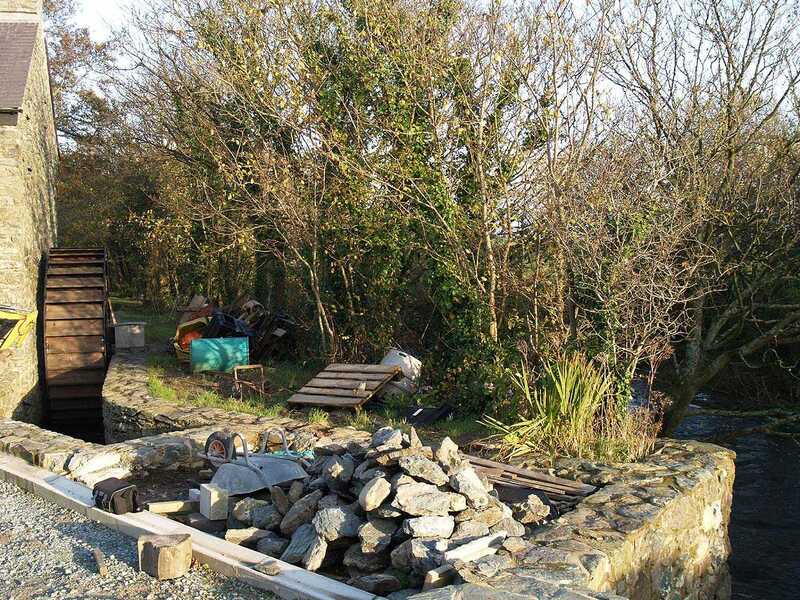 They have even had a wheel built on the side, and if they are allowed to divert the water from the River Alaw (which runs just outside their premises) then the wheel is designed to actually turn.